1st Edition 2015, 164 p., 8 illus. Corneal (or kerato) pigmentation involves femtosecond laser assisted colouring of the cornea for therapeutic and cosmetic reasons. Text and Atlas on Corneal Pigmentation is a highly illustrated review of keratopigmentation, including clinical outcomes, histopathological safety and surgical treatments. This book consists of three sections. The first section on keratopigmentation begins with a chapter on its history, followed by discussion on pigment selection, apparatus, techniques, indications and contraindications, and histopathology. 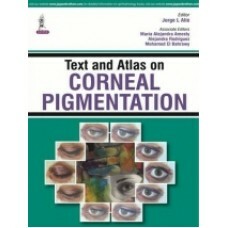 The second and third sections present an experimental atlas, and a clinical atlas of keratopigmentation. Enhanced by 368 full colour images and illustrations, Textbook and Atlas of Corneal Pigmentation is an ideal resource for ophthalmic surgeons, particularly corneal specialists, who wish to update their knowledge of keratopigmentation. 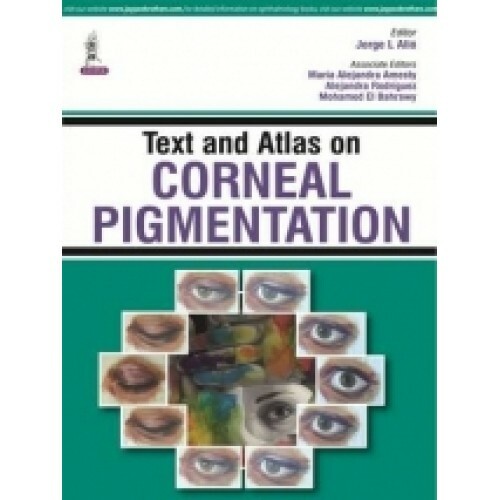 This book is edited by a recognised editor and author team led by Jorge Alio, professor and chairman of the department of ophthalmology at Miguel Hernandez University Medical School, Spain.